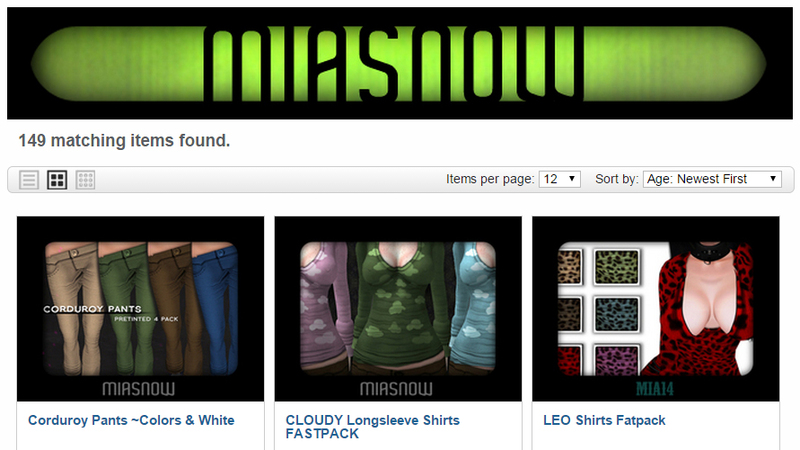 MIASNOW in Second Life | New Releases, Fave Things, & Event Updates! The Blasted Heath, West of Arkham is a build by me (MiaSnow Myriam) sponsored by a grant provided by LEA (Linden Endowment for the Arts). It opened today, October 1st, 2015! Go visit!!! The Colour Out of Space is inspired by H.P. 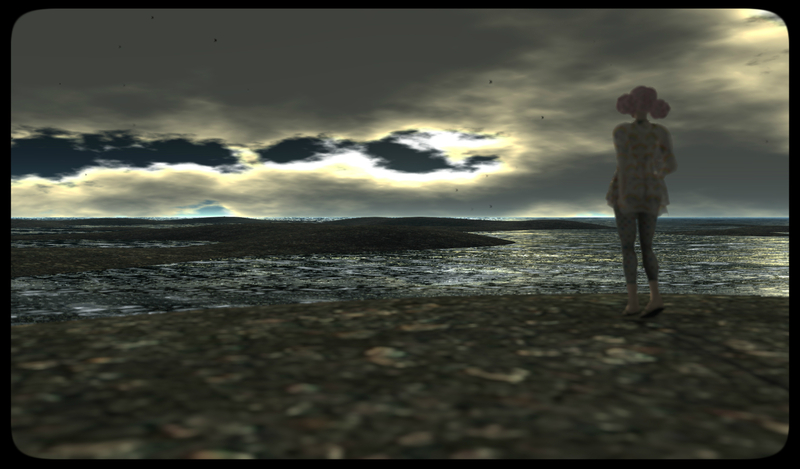 Lovecraft’s story depicting The Blasted Heath, a region of grey desolation sprawling open to the sky. 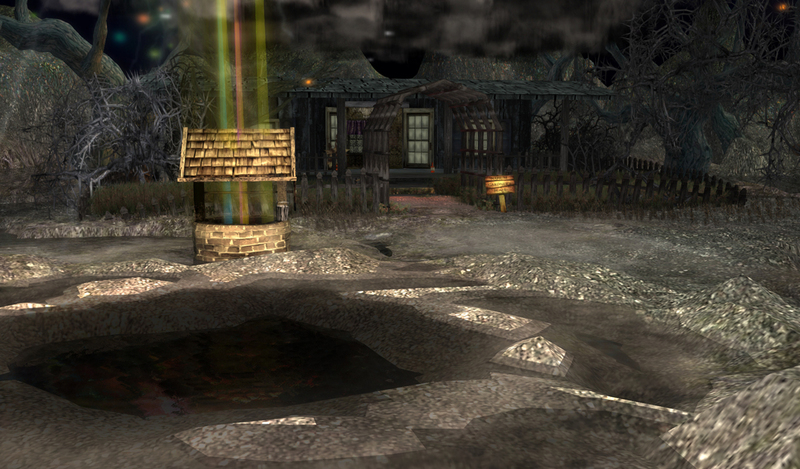 It is where an event known as the strange days occurred after a meteorite landed at the Gardner’s well. ◕ Turn your sound up and prepare to get creeped out. ◕ Make sure to use region settings for estate time lighting. 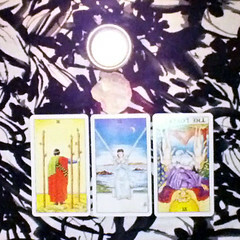 ◕ On the billboard, click the links for more H.P. Lovecraft. Look at photos and read info about him. Listen to the story or read it while you look around. 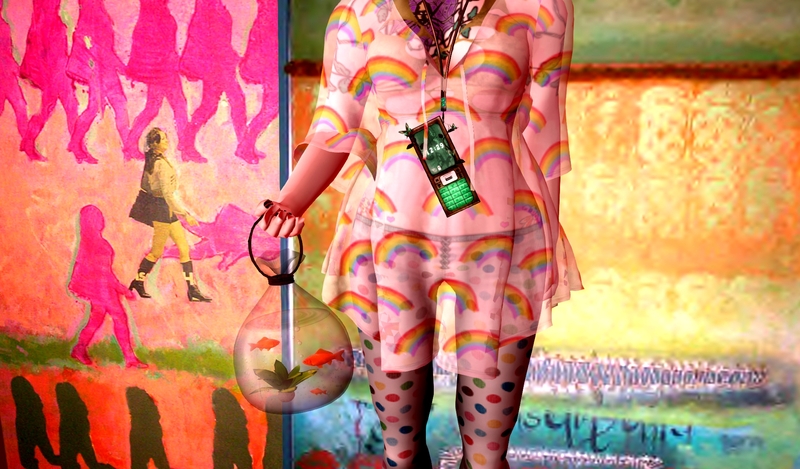 ◕ Check out the LEA (Linden Endowment for the Arts) Kiosk and find more fine exhibitions! 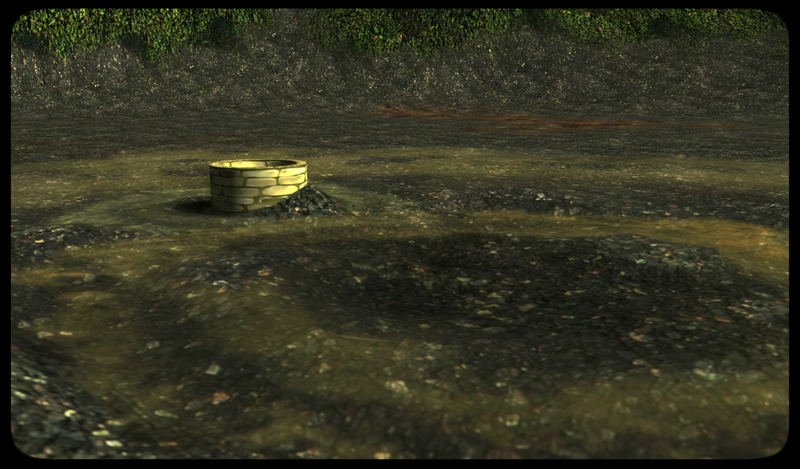 ◕ Trick a friend into getting trapped in the dark hole where the meteorite fell near the well. 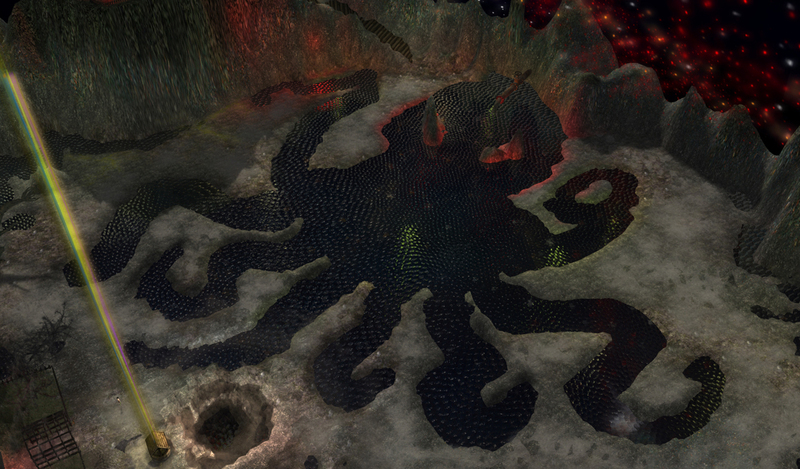 If they panic, just tell them to wait it out and the spell of the deep will release them. 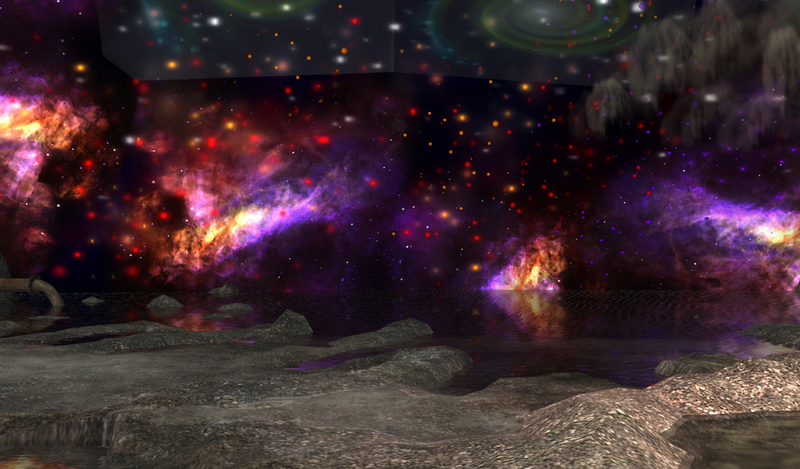 ◕ Past the well, follow the narrow path into the reservoir water and stargaze on the rock with a friend. ◕ Pick up some dollarbies! Framed photos of H.P. 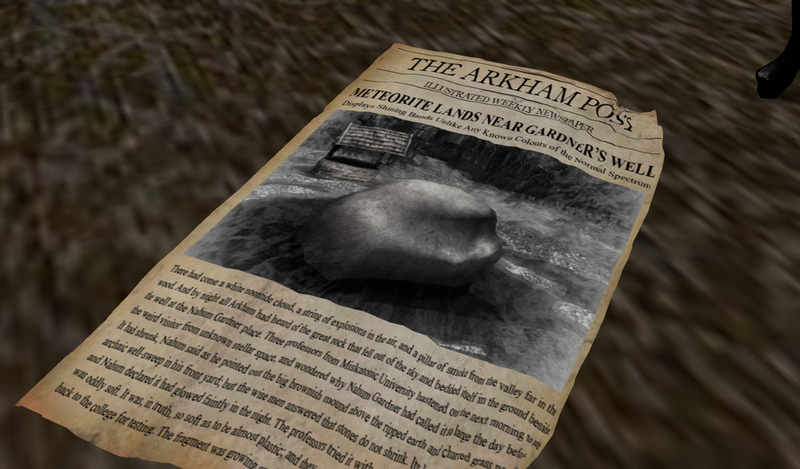 Lovecraft, books, & a copy of The Arkham Post. ◕ Sit next to Nabby Gardner on the sofa, if you dare! ◕ Click the radio for a link to listen to the story on YouTube. ◕ Click the TV for a link to an H.P. Lovecraft documentary. I am a Linden Endowment for the Arts Land Grant Recipient! On a basic level, I want this build to be a visually interesting place to visit and photograph. But I also aim for something more. First, I’d like for it to be informative enough that even those who are not previous H.P. Lovecraft fans can get into the installation. I’d like to incorporate eerie sounds, movements, lights, and animations to urge visitors to go insane during their stay in the Blasted Heath. I hope to evoke thoughts and feelings about fear, death, and madness. By linking those deep topics with a focus on the “Out of Space” aspect of the installation, I hope to impart that feeling of insignificance when faced with the vastness of the Universe. Please keep watching this blog for more updates about this art installation! I’m really happy to announce that I received the region this week… here’s an overhead view of the island. My avatar is the little black mark near center. 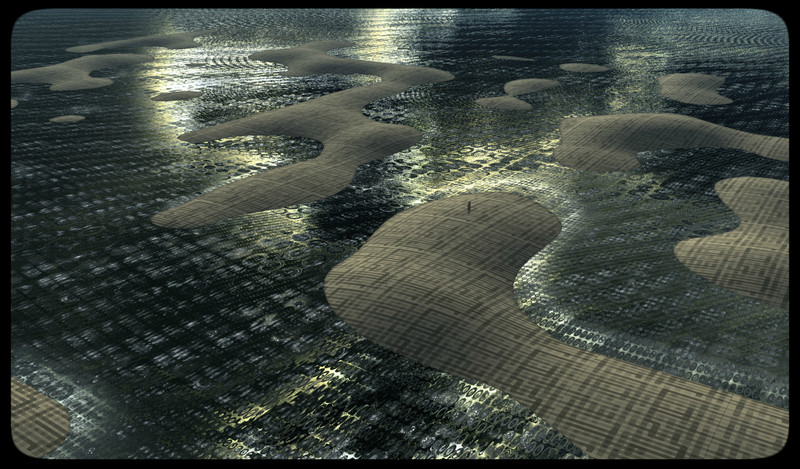 Immediately, I set to changing the sky, water, and land texture. A start to the creation of the well where the meteorite landed at the Gardner place. Here’s to those who might have read this far but still aren’t sure what this is about. 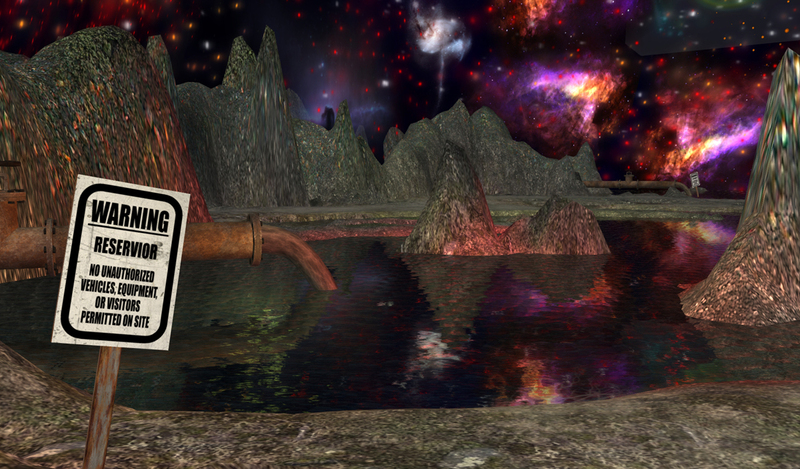 Second Life is a virtual social world created by the people who use it, like me. We use an avatar which can look any way we want it to. It’s free to log in (with plenty of freebie avatars, items, etc) but you do have the option to spend, or make, real money. SL is not a place for those with a short attention span. Since it’s not a normal “game”, there are lots of controls to learn and quirky things to get used to. Then, you have to figure out where to go and what to do. It’s a 3-Dimensional world. In it are games, shopping centers, art installations, galleries, movie theaters, etc. 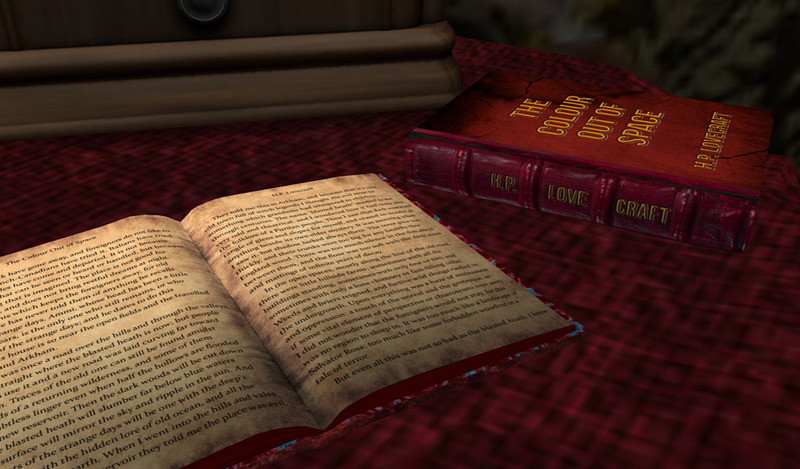 There’s a huge variety of interests represented in SL because it’s created by the “players”. You can talk with people or communicate by typing. Or you can avoid people altogether. The real point I want to make is that SL is interesting anndd it’s open source annnndddd Oculus Rift works with all of Second Life. I hope by the time Oculus is available in 2016, that this build of mine will still be up! 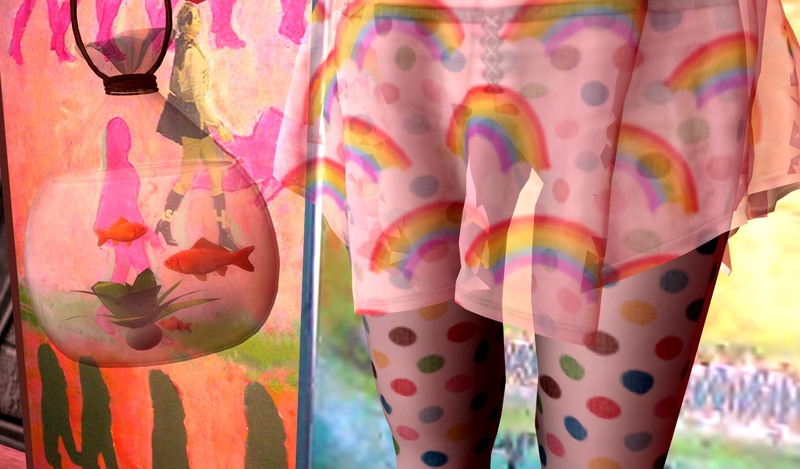 Today I put together an outfit of cute stuff (from bubble and Love Soul) and went to a few museums. 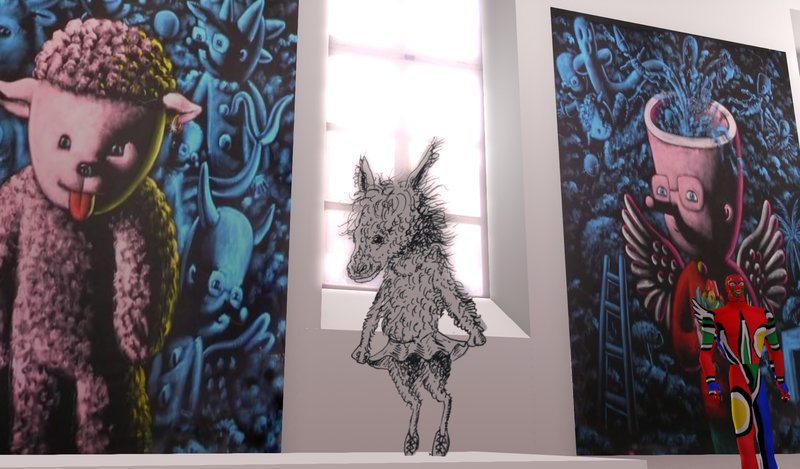 I really enjoyed my time at the Moya Museum, took a lot of screenshots, and even had a chance to visit with Moya himself who tells me he had one of his very first SL exhibitions because of me (I used to run a gallery). I am honored! He’s such a powerhouse of raw talent. The whole island is chock full of art… he paints, he sculpts, he draws, and he creates virtual art spaces including galleries, monuments, and even an Anti-Moya campaign complete with picketers! Some of the spaces like the one shown above is actually very realistic feeling. He says he’s using a spotlight. Go there and see it all for yourself. Be prepared for a feast of the eyes. 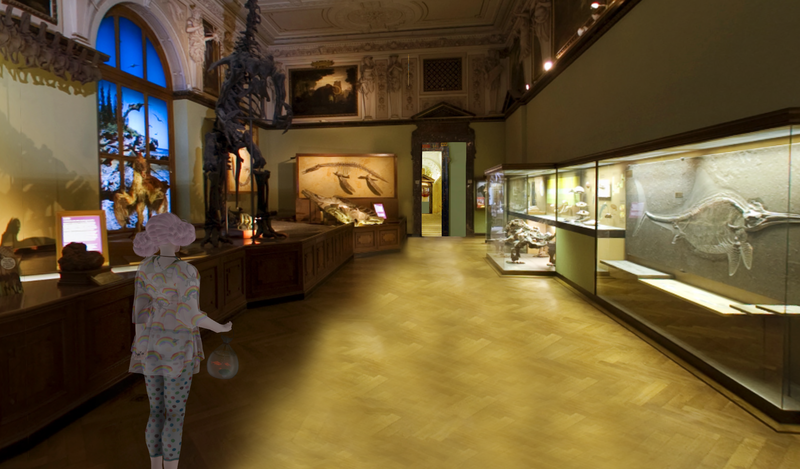 I also went to the Natural History Museum, which was lovely but not big enough! More, more I say! The realistic effect is really trippy! 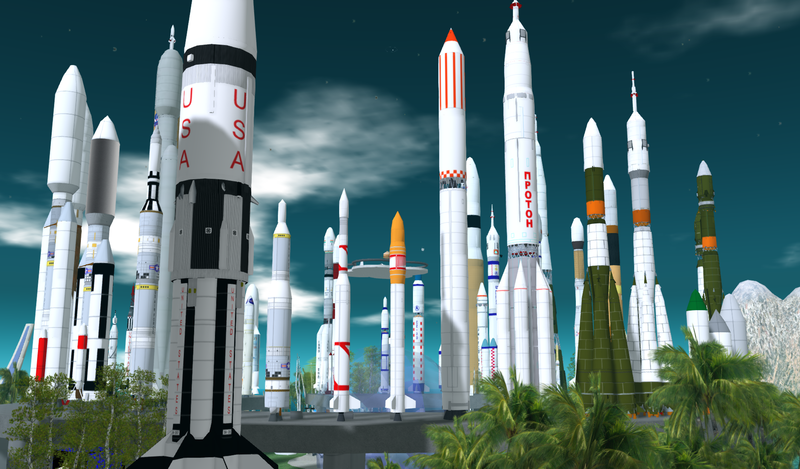 Then I went to the International Spaceflight Museum which had an incredible rocket display. Each has a plaque you can click on for information about each rocket. I suspect that the various sizes represented are somewhat accurate and they do give one the impression of how massive they are. At my house in front of my dad’s artwork. I made some renovations to my Marketplace. 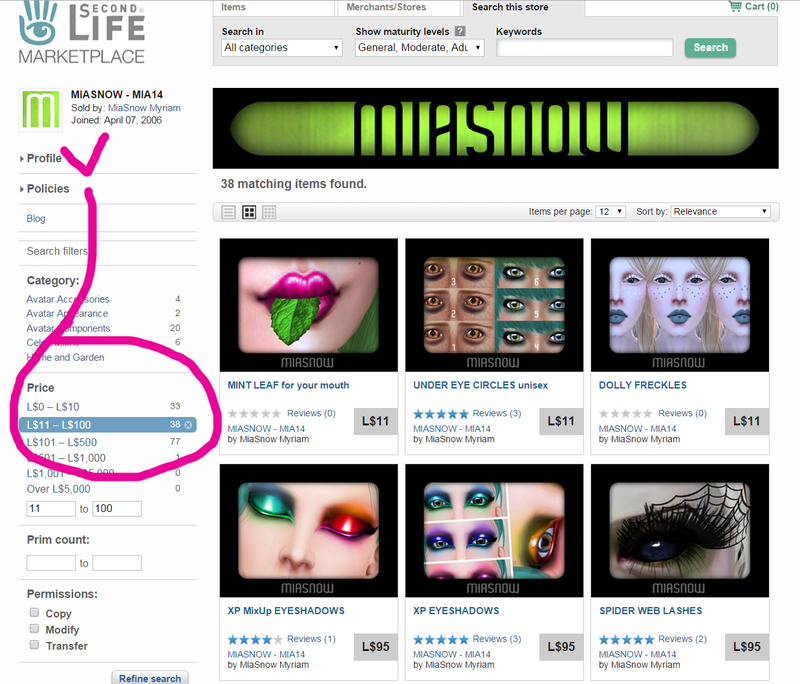 Now if you search L$0-L$10 you get more results for demos with a few freebies sprinkled in. To me, that makes it easier to try on some demos yo! So now if you search L$11-L$100, you get tons of really great priced items… lots of silly accessories. And, just so you know… if you go into my Marketplace with the filter on Relevance, you’ll see some costume male skins fairly easily. I reduced the prices of those. It’s Just So Frikkin Cute! Just ran across this collage I put together a while ago of the Ember Visage Skin Applier… I think it’s so cute! *pinches those cheeks* If you’re interested in it, or the eyes – then by all means click on over! 12 skintones are included in this fatpack of Ember skins! Check it out. A skin to match Slink’s Visage Mesh Head… Ember in Healthy Glow skintone. She is pretty, fresh-faced, and has a glowing, bright complexion. With no brows and little makeup, she looks a little edgy and a bit sweet. There are currently no other additions to this particular applier… no makeups, no other skintones. It was originally made for a Lazy Sunday event, Support Lazy Sunday! Check it out. And lastly, I also placed the matching appliers for these items right here!